The new version eliminates workflow interruptions caused by Apple Event sandboxing - a new security measure introduced in macOS Mojave. Under the new policy, apps can no longer control other apps without initial user authorization. Which, in turn, directly affects productivity tools that require access to InDesign and other system resources in order to perform complex workflow automation tasks. The new update of Package Central streamlines the authorization process by clearing all permissions during launch time, which eliminates workflow interruptions during file processing. The app will also automatically reset Apple Event permissions if the authorization was previously revoked by accident. Package Central can be purchased for $149.95 (USD) from Zevrix website, as well as from authorized resellers. Trial is also available for download. 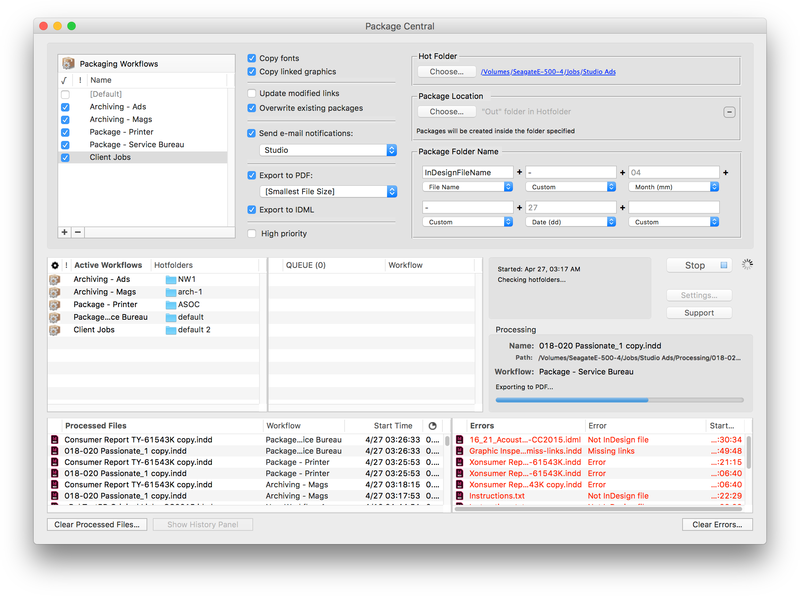 Package Central requires macOS 10.7-10.14 and Adobe InDesign CS5-CC 2019.